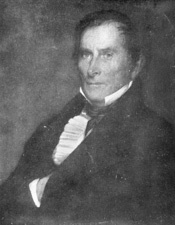 POINDEXTER, George, a Delegate, a Representative and a Senator from Mississippi; born in Louisa County, Va., in 1779; had a sporadic education; studied law; admitted to the bar in 1800 and commenced practice in Milton, Va.; moved to the Territory of Mississippi in 1802 and practiced law in Natchez; attorney general of the Territory; member, Territorial general assembly 1805; elected as a Delegate from Mississippi Territory to the Tenth, Eleventh, and Twelfth Congresses (March 4, 1807-March 3, 1813); United States district judge for the Territory 1813-1817; served in the War of 1812; upon the admission of Mississippi as a State into the Union was elected to the Fifteenth Congress and served from December 10, 1817, to March 3, 1819; chairman, Committee on Public Lands (Fifteenth Congress); Governor of Mississippi 1819-1822; unsuccessful candidate for election in 1820 to the Seventeenth Congress and in 1822 to the Eighteenth Congress; appointed in 1830 to the United States Senate to fill the vacancy caused by the death of Robert H. Adams; subsequently elected, and served from October 15, 1830, to March 3, 1835; unsuccessful candidate for reelection; served as President pro tempore of the Senate during the Twenty-third Congress; chairman, Committee on Private Land Claims (Twenty-second Congress), Committee on Public Lands (Twenty-third Congress); moved to Kentucky and resumed the practice of his profession in Lexington; returned to Jackson, Miss., and continued the practice of law until his death on September 5, 1853; interment in Jackson Cemetery. American National Biography; Dictionary of American Biography; Smith, Suanna. George Poindexter: A Political Biography. Ph.D. dissertation, University of Southern Mississippi, 1980; Swearingen, Mack. The Early Life of George Poindexter. New Orleans: Tulane University Press, 1934.